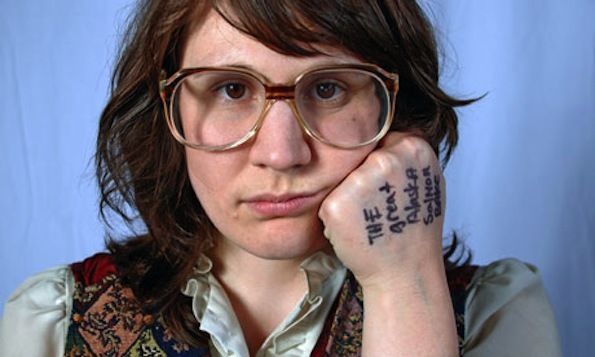 Sea of Bees‘ frontwoman, Jules Baenziger, is quirky and giggly. Years ago I met her in her suburban hometown near Sacramento, attended a show of hers at the now shut down venue The Underground, and bought lattes from her at her day job. Now she’s a touring musician, garnering attention from the likes of NPR, SPIN, and LA Weekly. Her latest album Songs For The Ravens came out June 1st and while the instrumentals are acoustic and sweetly endearing, her voice is an indescribable warmth whose uniqueness has to be heard. Jules was kind enough to chat with us right before her SF show at Café du Nord. The Owl Mag: How did the name Sea of Bees come about? Sea of Bees: I did a lot of house shows and it actually wasn’t thought out too hard. My friends knew me as Julie Bee and I think I was just not thinking. So I just said “Oh hey, I’m the Sea of Bees.” Maybe it made sense. It came out unexpectedly. The Owl Mag: Could you talk a little bit about which artists influenced you growing up? Sea of Bees: Jeremy Enigk, lead singer of Sunny Day Real Estate, his solo stuff was my jam. I didn’t have that many… Sigur Ros. The Owl Mag: How was your experience over in the UK? Do you think you’ll be heading back for another tour anytime soon since you signed to Heavenly Records based out of the UK? Sea of Bees: Yes, I’m going back at the beginning of next year for the next album. They’re beautiful people. I came over not being known at all, and it’s been a trip. I was over there for three months and it was way cool. It was a good response, a really good response. The Owl Mag: If you could only listen to one album for the rest of your life, which one would it be? The Owl Mag: Is there anywhere you have to visit when you come to SF? Restaurants, shops, venues? The Owl Mag: How long have you been playing shows in the Sacramento area and which venues would you say are your favorite? Sea of Bees: My favorite place to play in Sacramento was the old Sun Castle. It was called Sun Castle and it was one of my friend’s house shows. She put on massive house shows. It was really cool and intimate. Just played at Ace of Spades; that was cool. I think they only do metal shows, but randomly they did a show for us and Calexico so that was really nice. The Owl Mag: Do you think “Harry and Lola” will make it onto any future EPs? Sea of Bees: I wrote that for my friend in Honey Trees. It was pretty much about our cars ‘cause her’s was Lola and mine was Harry and what if they were in love? It was definitely something inside of me that wanted to have that kind of love that was sweet… like growing old with somebody that you really care about. I don’t know! You know, if I play with it. Some things are just in the past. I would do it for someone else. It wouldn’t be just for me. I like weird noises. I’ve been listening to a lot of Beatles and a lot of Beck. Just the textures and the sounds; Sparklehorse. You know that texture that’s soft, I kinda want to bring that out. The Owl Mag: How do you think this next album going to be different from Songs for the Raven? Sea of Bees: Definitely going to be different. I’ve been messing with the bass tracks. Not so folky, not so acoustic. I think it’s whatever is inside of you at the time, in your heart, brand new, fresh, a lot more textures, and stronger vocals where I know what I’m doing. I didn’t know recording during the first album, I didn’t know studio stuff that well. I know what I want and it’s going to have more pretty textures and good feelings. But not too folky at all, it’s going to be very… I don’t know… sparkly.